Although they are slowly disappearing, public baths ( sentō ) were once commonplace in Japan. They played an important role in the social network of a neighbourhood and were a great meeting place for young and old. The therapeutic benefits of bathing in hot springs ( onsen ) have been appreciated by the Japanese for hundreds of years and it has become a part of Japanese culture. Resorts with roten-buro ( outdoor baths ) are dotted up and down the country and visiting these spa resorts is a national pastime. In an effort to recreate this wonderful experience for our guests at Yumeji, we have added an outdoor spa for our contemporary suites to allow guests to enjoy relaxing under the stars. In our traditional suite we have installed a beautiful handmade cypress timber bath ( hinoki-buro ) imported from Japan. 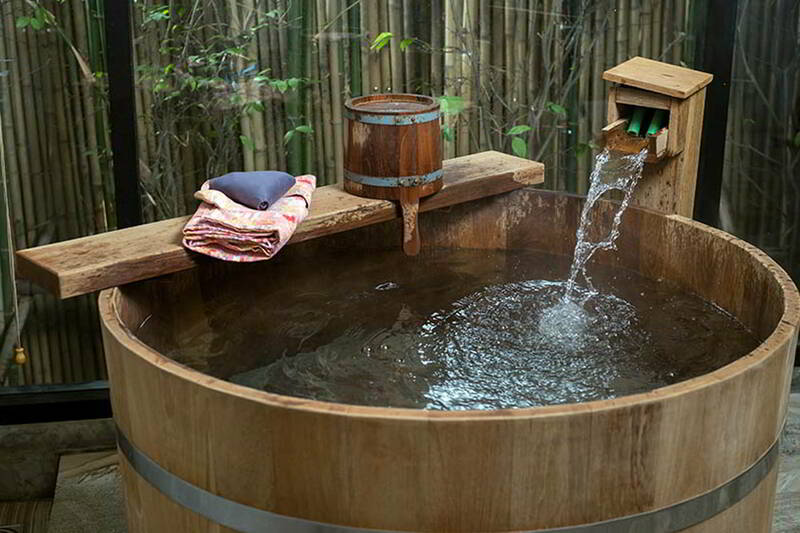 This bath is deep and allows the bather to immerse themselves in the hot steaming water scented with Hinoki oil. 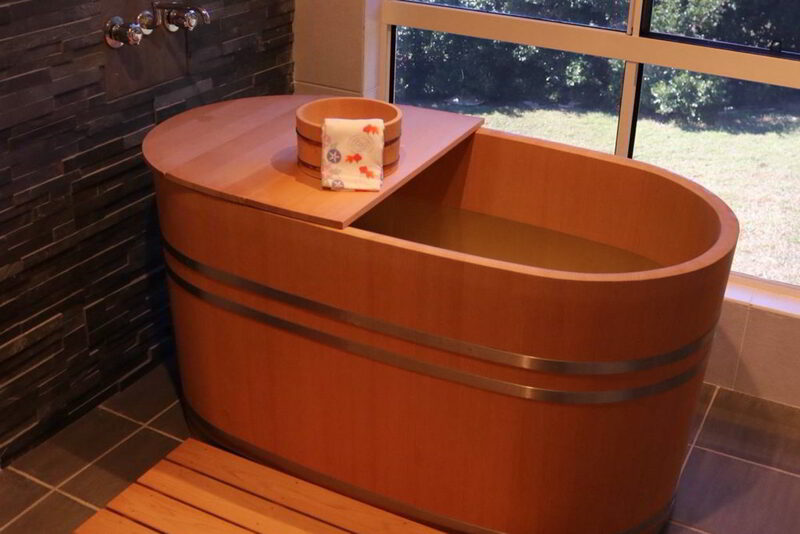 We hope you take pleasure in indulging in this fabulous Japanese custom while enjoying our facilities at Yumeji.